The global financial, economic and sovereign debt crisis since 2008 has led to increases in political disaffection among citizens, a loss of legitimacy of political institutions, the discredit of mainstream parties and the rise of extremist or anti-system political alternatives. This comparative volume sheds greater light on this critical juncture in the recent history of the European Union (EU) by focusing on the evolution of attitudes of national political elites. 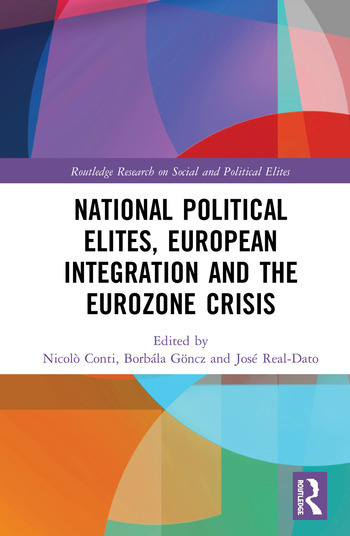 It examines whether the crisis has affected the legitimacy of the EU integration project as perceived by national political elites and, consequently, if the elite consensus that constituted one of the most solid fundamentals supporting that project has been eroded. Analysing these changes across the different dimensions in which support for the EU is organized and its relationship with the evolution of support towards European integration among citizens in member states, the book addresses a basic question: How have these events affected the perceptions of the EU of national political elites? Ultimately, it sheds light on the evolution of the relationship between the perception of the EU and the national contexts, as well as the likely evolution of the project of European integration in the near future. This book will be of key interest to scholars and students of political elites, EU politics, European integration, political parties, and more broadly to comparative politics, European studies and sociology. Nicolò Conti is Professor of Political Science at the Unitelma Sapienza University of Rome, Italy. Borbála Göncz is a Research Fellow at the Institute of Sociology and Social Policy at the Corvinus University of Budapest, Hungary. José Real-Dato is Associate Professor in Political Science and Public Administration at the University of Almería, Spain.